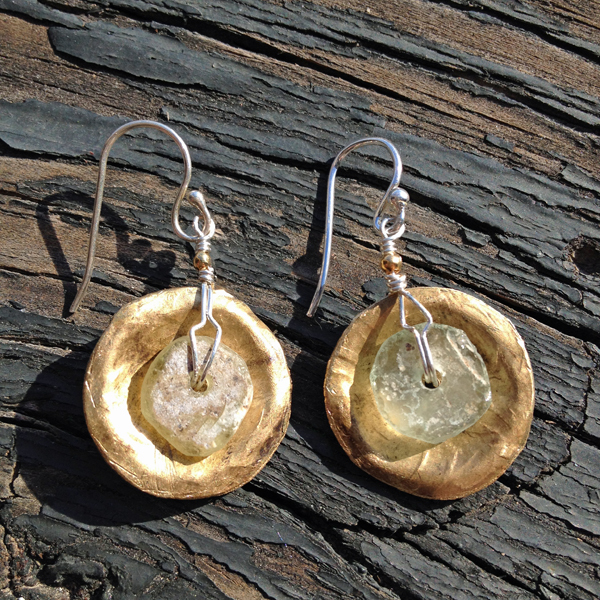 Our Brass & Glass Earrings are made with reclaimed brass, ancient Roman glass, and sterling silver earwires. Like we always say, “Wear brass and glass and you’ll kick some…”. Never mind. We really don’t say that. Measures 1 1/2 inches from top to bottom.